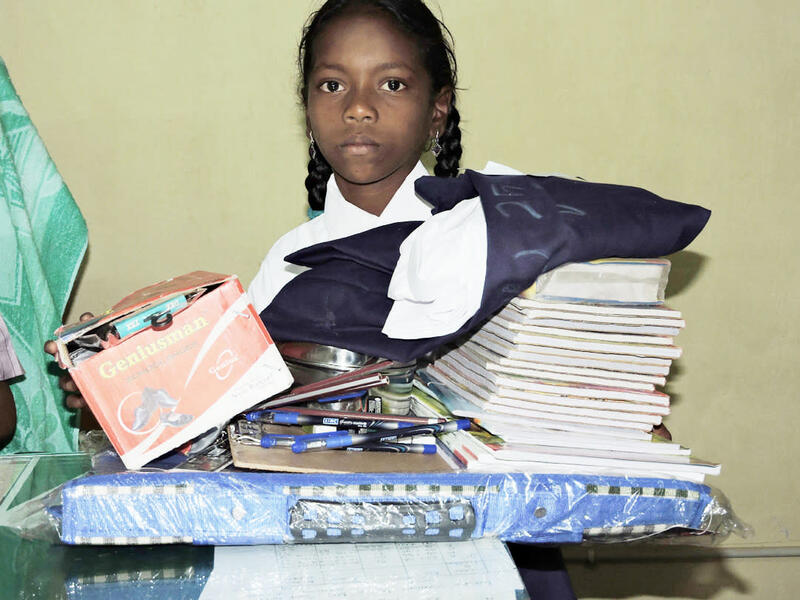 There is an urgent in need of educational school supplies to help the poor children belongs to backward sections of the community & studying in Govt High Schools in Kurnool and who are appearing their X Standard Examinations. With your sponsorship these unfortunate children can study well and achieve their dreams in life. Donate Online to Charity to Sponsor a Child in need, with your generous donations we are able to provide good education to the poor children in slums & rural areas. There is a immediate requirement for these Poor Students for the excellent education. 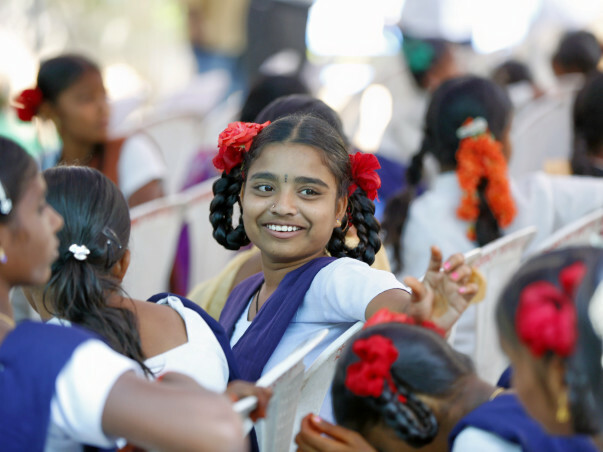 Make a Online Donation for the underprivileged girl child for her education sponsorship. With your humble online donations we serve the children for their education in time. With out your generous Donations it is very difficult for us to serve the children in time. These poor students are parents are working as daily wage labourers in market yards, construction sites, and scavenging, petty shops. And parents are struggling to support educational supplies in time for their children. Donation Item - Education Sponsorship Qty Price in Rs. 80G Tax Benefits for Donations in India. - Donations made from India are tax exempted under section 80G of the IT Act. Hence your donations will be eligible for 50% tax exemption. - Donate Online through Credit Card, Paytm, Net banking & get 80G Tax benefits from our Charity. No Donation is small, every donation makes big difference in someone's life. Donate generously for the nonprofit organization. - Your donation will further our vision of ensuring a happy and healthy childhood for India’s children. Donate to make a change. 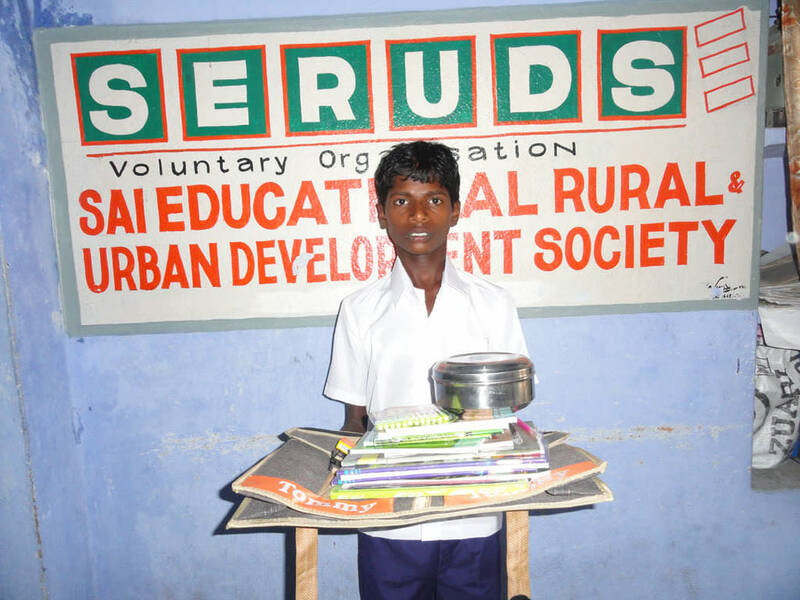 - All donations received by SERUDS are exempted u/s 80G of under the Income Tax Act 1961. SERUDS NGO provides a certificate of the same to every donor for claiming rebate. Thank you so much for sponsoring poor students who are studying in Government High Schools through esteemed organization Milaap. This initiative taken up and Donating Education Support for the Deprived Students who are belongs to poverty and studying good in their academics. As part of regular visits to the Government Schools in urban locations, rural villages many of the girl children are lacking of timely educational material support due to poverty children parents are not able to support them and instead of sending to schools their parents thinking that they can earn more meagre income by sending girls to the nearby landlord houses to work as domestic servant maids. 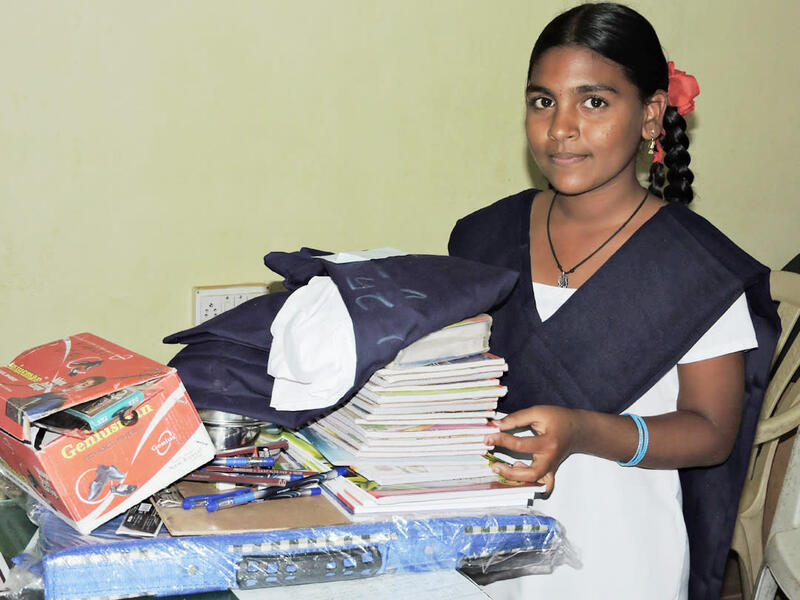 We adopt some of the schools where the necessary educational support required for the girl children, because some time children feel shy by wearing old uniforms with bad condition to go schools. 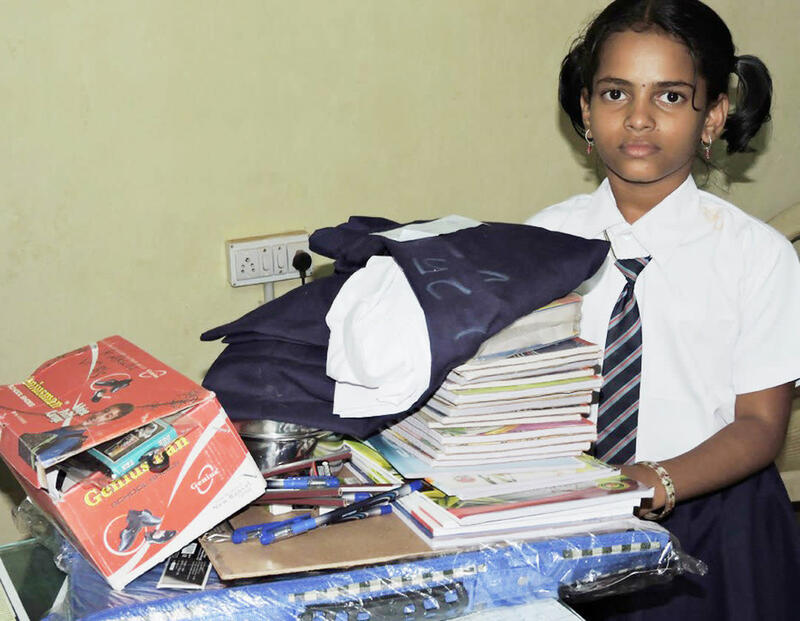 At this critical juncture we have been identifying girl students time to time X Std and providing educational material support to the 25 children including Long & Short Note books, Pens, Writing pad, Sketches, Pencils, Erasers, School Back Pack, Branded New Uniforms, Shoes, Socks, etc. 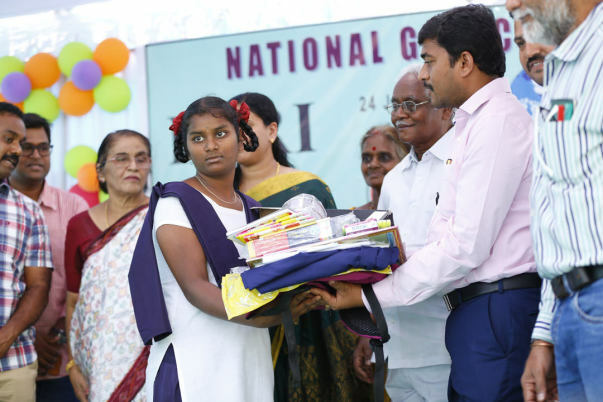 25 girl children benefited from this initiative in IGMM High School, A.Camp, Kurnool. Children are very happy and going to the School without absents. 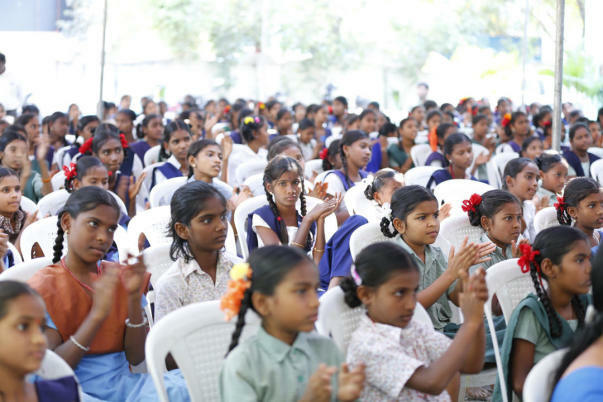 Some of the girl students are participating in extracurricular activities like football, coco, National Service Scheme (NSS). We are able to see the Good marks getting, progressing good in studies. School authorities also very happy for this kind gesture and expressed sincere gratitude. 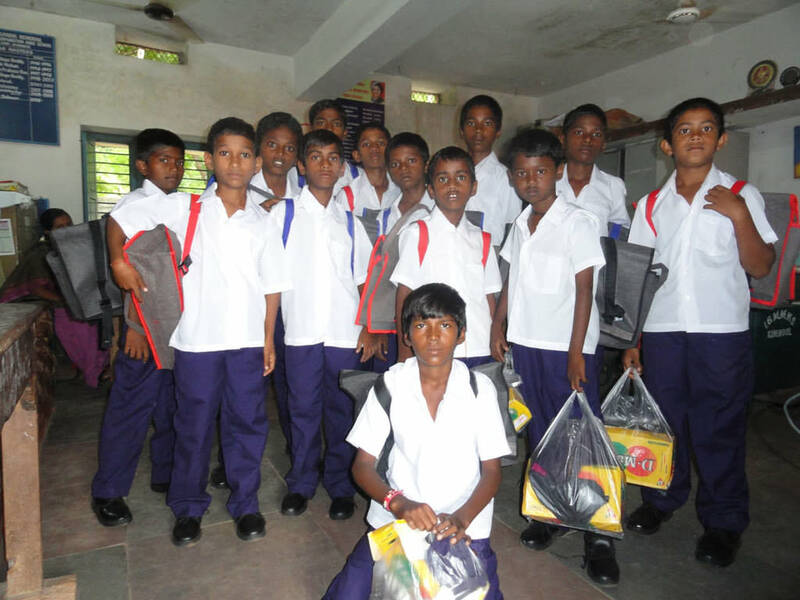 These children are appearing SSC Std in coming near May/ June 2019 exams.Thanking you for donating good cause of the underprivileged bright children. Without your generous support it is very difficult for us to server the needy children in time. As this is ongoing initiative, Thank you for all your generous support for the deprived girl students who are studying in Government High Schools. As part of our regular activities in schools and to educate girl students we encourage them to study well by providing timely education material support. 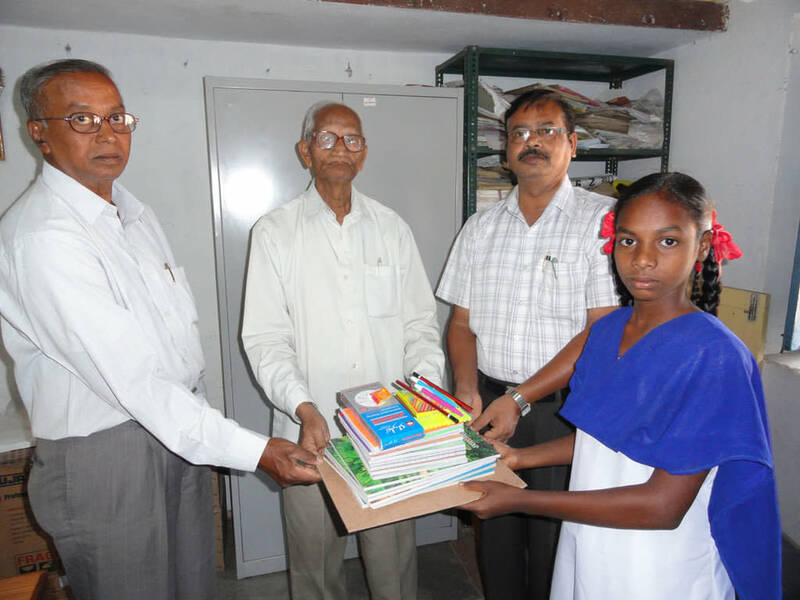 The girl students age group between 12 to 15years and studying VII to X std in IGMM High School, Kurnool. 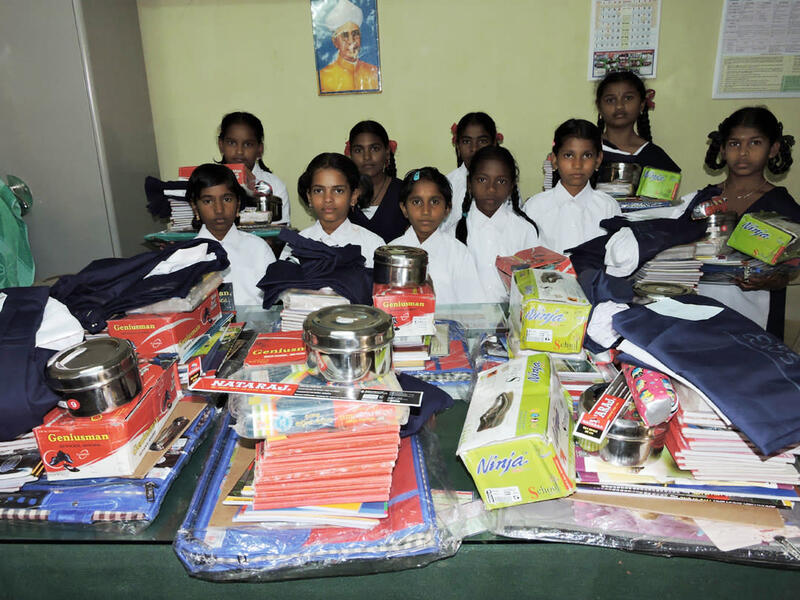 These girl students came from different rural villages, mandals of Kurnool District of Andhra Pradesh and they are staying in welfare hostels. The Children parents are working as dailywage labourers in Construction sites, market yards, petty shops, other establishements. By doing this vocation they earn meager income and they spend on household needs. The parents of the children are not able to provide education support intime and some of the children parents are encouraging to stop education for their children and take along with them to work as domestic servant maids & flower vendors. 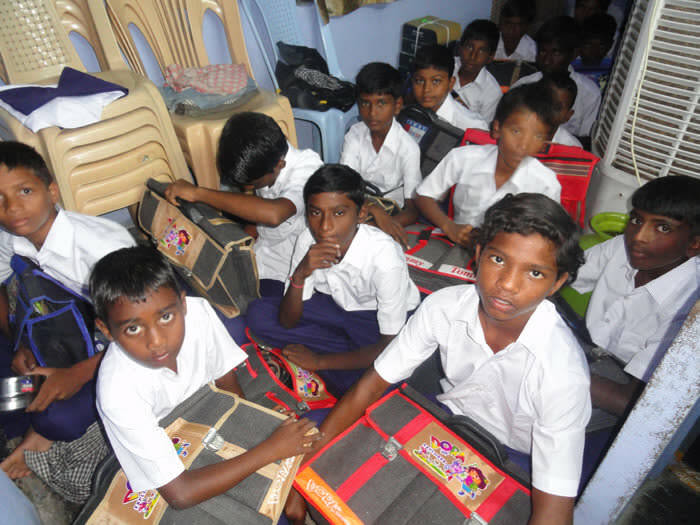 In this critical juncture school authorities, our volunteers, staff always communicate with the students to provide them necessary educational material long note books, short note books, Dictionary, pens, pencils, branded school backpack, shoes, uniforms, colour sketches, geometry box, lunch box, erasers, sharpners, required stationary for the education. 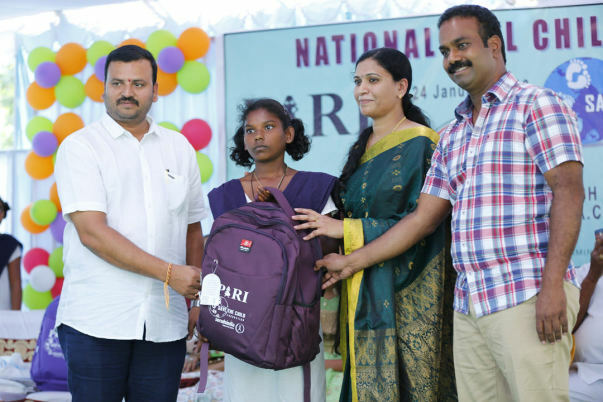 In a batch 50 students benefit from this initiative. Students are having very interest on education and coming to the school regular with this educational material support. We have been doing this intiative for the underpreviliged children since 2007 as we believe education is asset. With this timely educational support Students are studying good and progressing well in their examinations.Thanking you for supporting this noble cause.